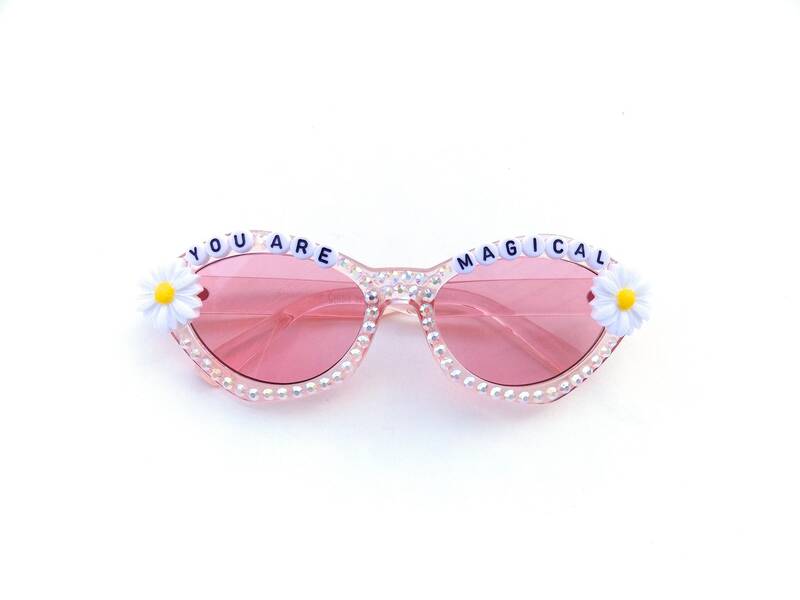 YOU ARE MAGICAL decorated sunglasses by Baba Cool | For unicorn queens everywhere ~ embellished festival sunnies ~ you are magical! 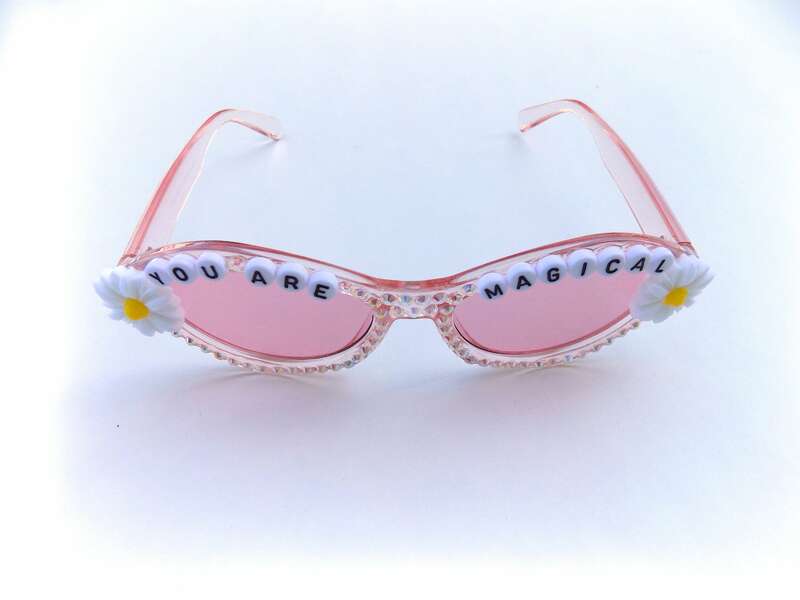 These groovy shades feature the words "You Are Magical" with white daisies on each side and rhinestones encircling each lens. 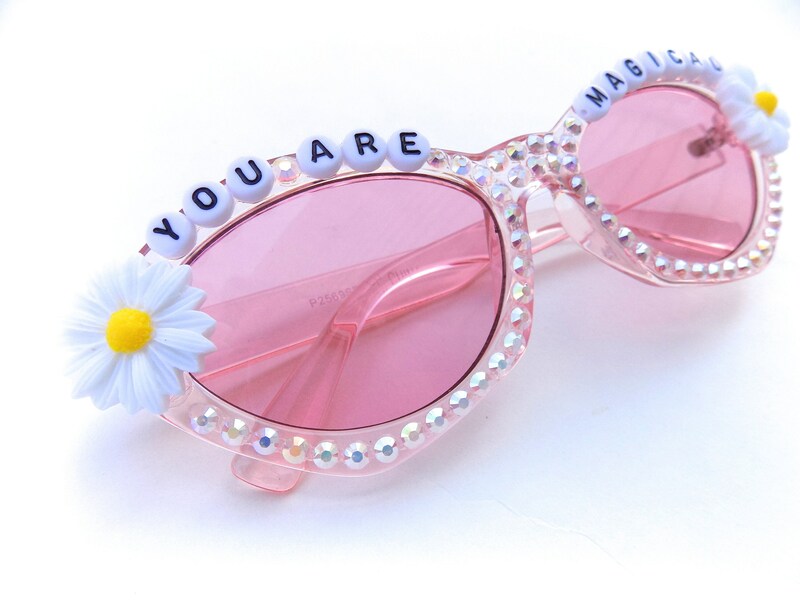 Frames are plastic with pink tinted lenses. All decorations are fastened securely using industrial strength glue!